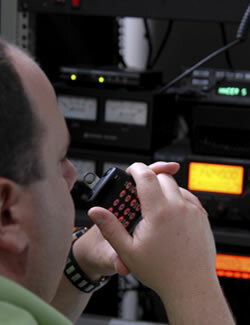 A COMPREHENSIVE SELF-STUDY “CRASH COURSE” FOR PASSING THE FCC GENERAL RADIOTELEPHONE OPERATOR LICENSE EXAM. 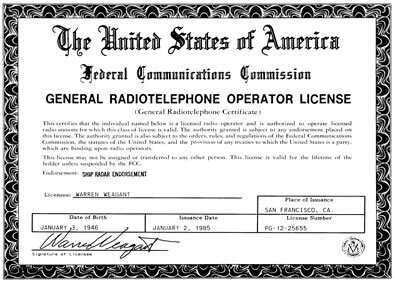 * Latest 20th edition of “Tests-Answers for FCC General Radiotelephone Operator License,” which contains the answer to every question on the actual FCC government license exam! OPEN DOORS TO THOUSANDS OF EXCITING HIGH-PAYING JOBS IN COMMUNICATIONS, INDUSTRY, AEROSPACE AND MANY OTHER AREAS. Every area of the FCC exam is covered (all FCC exam elements #1, #3, and #8). Here's a simplified Self-Study course designed to prepare you for every type of FCC exam question - the kind of training you need to assure yourself of no surprises when taking the FCC exam! You should know that the only requirements for getting an FCC License are: (1) that you know how to speak and understand messages in English (2) that you be eligible for employment in the United States - and (3) that you pass the multiple-choice U.S. License exam. And that's all it takes! Some people believe there are more requirements - but this is not so. The FCC isn't interested in you past experiences or education. You don't need to know any telegraphic code either. Any your age is not important. Anyone regardless of age can get a license. The FCC is, however, very much interested in what you know about electronics. If you are well prepared for the FCC exam - the license certificate is practically in your hands. Just imagine - you could be legally qualified to work in Communications as soon as you pass the FCC test. Plus- once you get your license it's good for life! The license does not expire. No continuing education is required - no additional training, classes or courses are ever required to keep your FCC license!! The best way to prepare for your FCC License is to learn and review the actual questions and answers asked on the FCC exam. ANSWERS TO ALL FCC QUESTIONS WILL BE GIVEN TO YOU! There's no need to quit your job or change your daily routine. 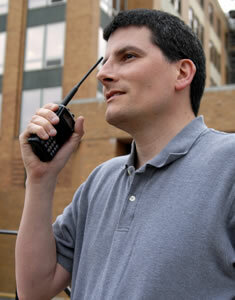 Many people get their FCC License in just a few short weeks after receiving the course. With our proven course, you learn at your own pace - at home, in your spare time. 100% GUARANTEE: We guarantee you will get your FCC License . If you don't, you get a full refund. Why take chances? Our sole aim is to make 100% sure you get your FCC License. Get started immediately! The sooner you get started, the sooner you can get your FCC License and begin your exciting Communications career. Act now - mail the order form today. We'll rush the entire course to you fast. This comprehensive all-in-one FCC Home-Study Course makes getting the FCC License easier, faster and assures that learning becomes more permanent .....with a minimum expenditure of time and money! In a remarkably short time many people learn everything necessary to pass the actual government FCC License exam. All the mystery is taken out of preparing for the FCC License. Our proven course is designed so even beginners can start fast. Step-by-step, you start with the very basics - and continue lesson by lesson at a pace that coincides with your activities, work schedule and learning ability. So whether you are a beginner or have some knowledge of electronics, everything is easy to understand. We show you everything in simple, everyday language, complete with photos, diagrams and drawings. You follow easy lessons that guide you step-by-step in a logical, sensible way. Even the U.S. Navy has used this teaching method in their electronics training program! Get some information on what comes in the training package, or go ahead and ORDER NOW!